February is the month of Love; and it is also a time set aside to remember Historical Men and Women of Color who have achieved greatness during their lifetime. Today is the first day of Rave Reviews Book Club’s Spotlight Author Tour. What a fitting time to host our featured author. Let’s see how she spends her day as a writer. Gracie, I am pleased to host you and to share your post with my followers. Quickly getting dressed, securing the front door and off she goes. Her mind goes into overdrive mode formulating a plot for her next writing session when she returns. She stops to talk with the ducks, turtles, and cranes. She goes by the elementary school to observe parents dropping off kids. She decides if she is going to stop by the corner store to pick up a lotto ticket. After 1 ½ hours, she enters the back door, kicks off her shoes, makes a hot cup of herbal tea and peels two boil eggs. After enjoying her gourmet breakfast, she decides which room to write in for the day and which device she is going to use. Before starting, she turns on some smooth music, dance for about fifteen minutes then she is ready to sit and dump everything she formulated in her head while walking. A minimum of 200 words flows onto the paper. She leans back in her chair to admire her work. Nine out of ten times, she will re-write the plot several times. It is now time to take a shower and starts her day. She wonders which community service she will support today? Thank you so much for stopping by and spending the day with Gracie. Please leave your comments and get a copy of her book(s). Be sure to follow her at each of her stops on the RRBC site this week. This entry was posted in Spotlight Authors and tagged @IamXordinary, Gracie Bradford, Gracie’s Writing Process, RRBC, SPOTLIGHT AUTHOR. Bookmark the permalink. Hi Gracie. Your morning routine sounds delightful! Shirley, thank you for hosting. Michelle it’s good of you to stop by. Thank you. I started the walking routine to clear my head when I had to make decisions with far reaching consequences. Congratulations, Gracie! Wishing you a fabulous month in the Spotlight! This has been a fabulous book tour. I appreciate Shirley for taking day one to get it started. It was my pleasure Gracie. Congratulations, Gracie! A wonderful way to start the day. Thanks for sharing. I’m looking forward to following your blog tour! And nice to see you too, Shirley! Laura it’s good to see you too. These tours always bring us together. Thanks Laura. I noticed you followed all blogs this week. Hi Gracie, What a fabulous way to start your day! Cheers for hosting, Shirley. Thanks Wendy for dropping in on the tour. To everyone here: Your support is very much appreciated. Have a wonderful day! Now on to the next tour. Loud cheers and roaring CONGRATULATIONS to you, Gracie Bradford, on this honor! Gracie, you truly are worthy. Best wishes to you. Thank you for being so supportive, Shirley. You are such a blessing to those with whom you share your blog! Beem thank you for being here and for your kind words. I echo Beem’s sentiments Shirley. You are very supportive. Thanks. It has been a marvelous week. I have enjoyed the spotlight this week. Thanks for following. Congrats, Gracie on your spotlight tour!! Your books look delightful. I love the way you start your day. Mime starts at noon. Enjoy your tour. Hi, Gracie! 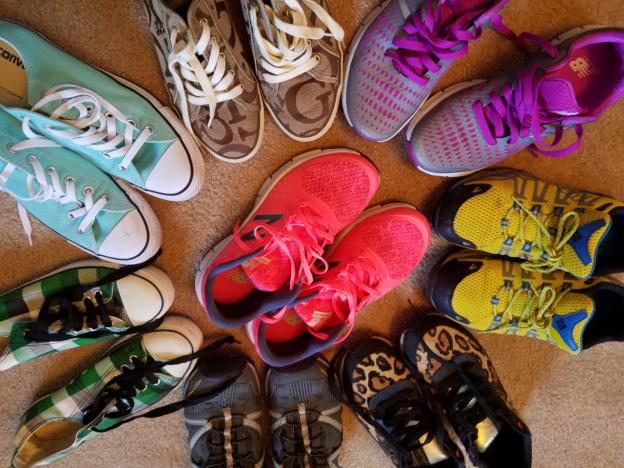 Cool way to start your day… BTW, love all those walking shoes. Happy Spotlight! Congratulations, Gracie! I’m so happy that RRBC has selected you for the spotlight! As you know, I loved June the Prune and Lady Bird. Your big heart and wise words worked a miracle in me. Enjoy every moment of RRBC’s attention, for you deserve it and more! Gwen, I appreciate your kind words. I loved reading your book as well. The tour has been magnificent. Congratulations, Gracie! I’m glad RRBC is shining the light on you! 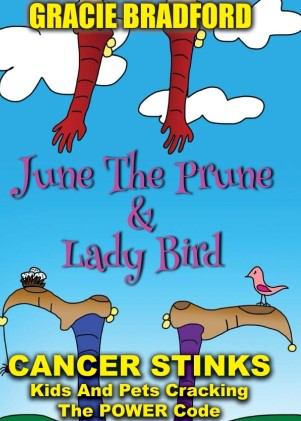 June the Prune and Lady Bird was a favored read. Enjoy! Enjoy!🤗Thanks for hosting, Shirley. Linda, thanks for being a supportive member of #RRBC . You and Shirley are rock stars. I hope you enjoy June’s story. Enjoy your tour, Gracie! Looking forward to learning more aboit your work. Shirley Harris-Slaughter hosts Gracie Bradford as RRBC Spotlight’s Author of the Month, check it out and keep following this talented author on their month long tour! Congrats, Gracie!! 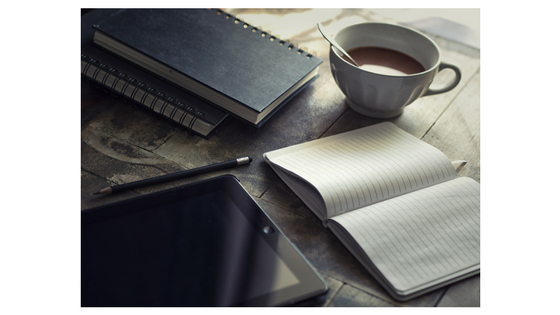 I hope you have a fabulous month in the Spotlight, and I absolutely love how you prepare to write every day, it sounds so relaxing and inspiring! 😀 Thank you, Shirley, for hosting another great author of the RRBC. Kester thank you for visiting my blog and supporting Gracie. 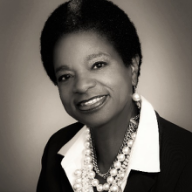 Thank you Shirley for spotlighting me on your blog in conjunction with black history month. June and Lady Bird hope their story is an inspiration to other kids. The love of a grandmother is powerful medicine. You are so welcome Gracie. It’s a pleasure to host you on your tour.